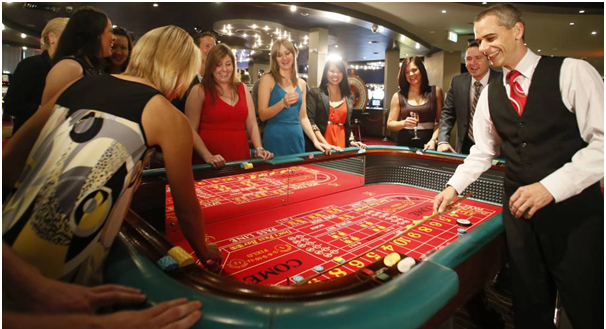 Home » Articles » How to play Craps at Lasseters Casino Australia? Lasseters have loads of table games with so many varieties like American Roulette, Texas Hold’em and Omaha Poker, Three Card Poker, Progressive Texas Hold’em, Baccarat, Craps, Caribbean Stud, Pontoon and Blackjack. Also there are pokies machines ranging from old favourites to state-of-the-art new games in denominations of 1¢ to $2. There are over 307 of the latest electronic gaming machines. TAB and Keno are also available in the Sports Lounge along with all the latest sporting action screening live. Lasseters Casino Australia has only one Craps table. The game allows players to place wagers on the outcome of rolling two dice. It’s fun and easy with a minimum of $5 on the pass line if you want to ‘shoot’ the dice. The difference with this game is that you can bet with or against the casino. It’s full of suspense, fast action and excitement. 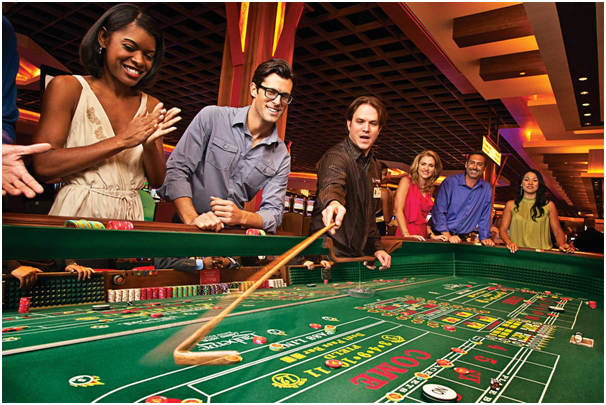 Simply visit the casino physically and locate the Craps Table at Lasseters casino. The casino is open from 9am daily, and to take part in game with various offers. You need to be the Lasseters Rewards member. Exceptional rewards include discounts on casino’s restaurants, bars and hotel, milestone gifts and invitations to member for events and offers. Points you earn on your Lasseters Rewards card can be redeemed not only on gaming but also on an exciting range of Lasseters facilities venue-wide including accommodation, meals & drinks, gift shop products, and concert & event tickets! With five Rewards levels the more you play, the more points you earn and the greater the Lasseters Rewards. To earn points at electronic games simply insert your Lasseters Rewards card into the card reader, ensure it has been accepted and begin playing. Points will automatically accumulate to your card. Your points balance will be displayed on the message display screen. On table games hand your Lasseter Rewards card to the Croupier at any designated Gaming Table to accrue points as you play. Every 100 Lasseters Rewards bonus points earns you $1 (1 point = 1 cent). The more you play, the more points you earn, the greater the rewards. Higher levels provide additional benefits and rewards. They can be yours by earning the required points within six months. The latest Diamond Lounge is available for VIPs features new electronic games and popular tables games as well as personalised service and luxurious seating. Diamond Lounge has 54 of the latest electronic games, four tables, a private coffee lounge & bar, plus luxurious seating. Access to the lounge is achieved through Lasseters Rewards program which has five different membership levels. Every Gold, Platinum and Diamond level member receives entry into the Diamond Lounge. Lasseters’ electronic gaming machines to suit every player. You will find popular standalone progressive jackpot machines, linked product and the touch screen Vegas Star Roulette terminals. TAB facilities in the Sports Lounge. UNITAB offers all the racing action from Australian and International racing meetings and also caters for wagers on major sporting events. NT Keno Network of games with Keno terminals located in the Sports Lounge. There are 22 large screens including 5 sports plasma screens that that screen all the latest racing and sporting events live. 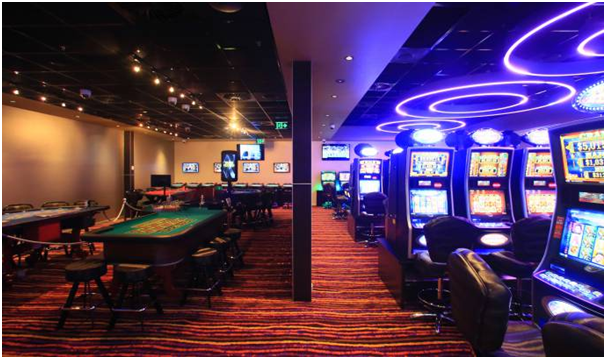 Now head on to 93 Barrett Drive Alice Springs, 0870 NT, Australia to visit this casino. Also call 08 8950 7777 for more information. Note that all the offers and tournaments listed above are subject to change. You can contact the casino for latest information on the ongoing games tournaments.